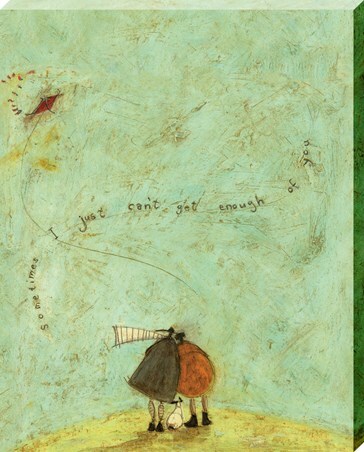 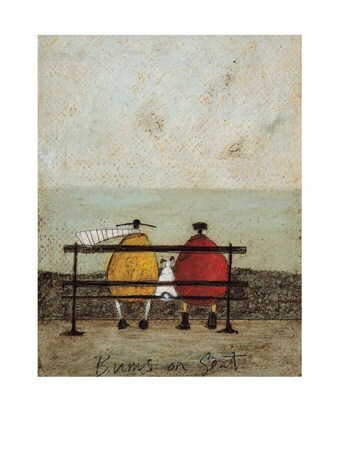 Art Print: Mr Ernest Hemingway Mustard fulfils his role as a gentleman once again in this charming print by Sam Toft which is called 'Taking the Girls Home'. 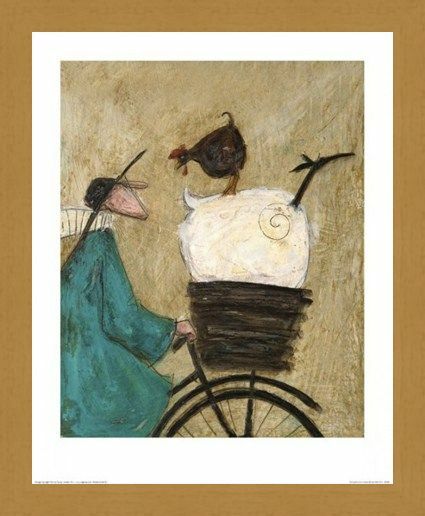 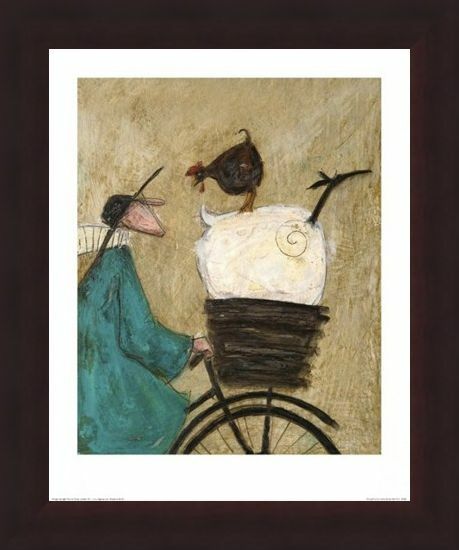 As he rides his bicycle through the quiet streets of Brighton, he tries to stay balanced as he takes Audrey the glamorous sheep home in his basket with a little chicken in there as well for good measure! 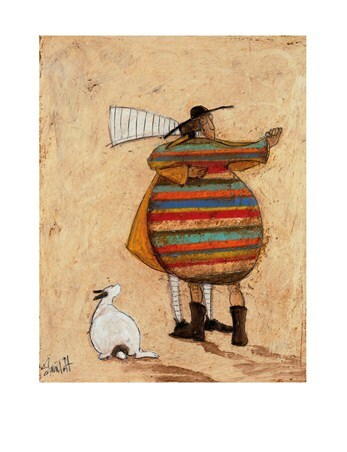 Combining whimsy with the typical homely feel of Toft's work, this charming print is sure to make a wonderful addition to your collection. High quality, framed Taking The Girls Home, Sam Toft print with a bespoke frame by our custom framing service.